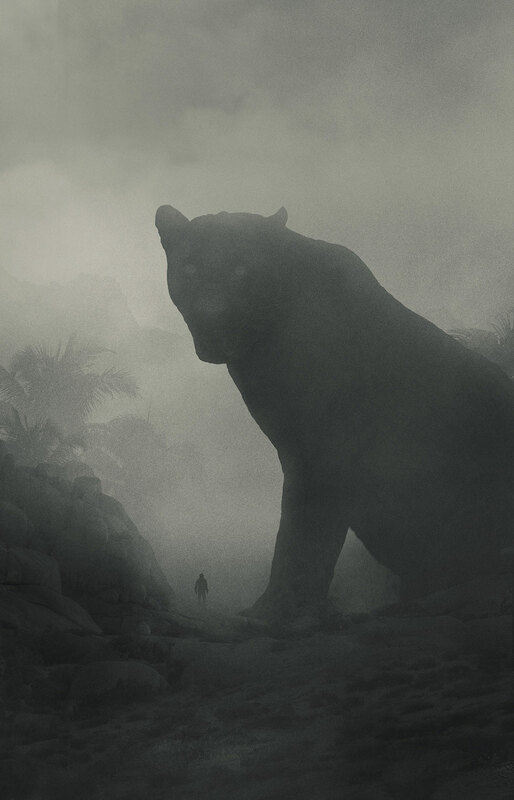 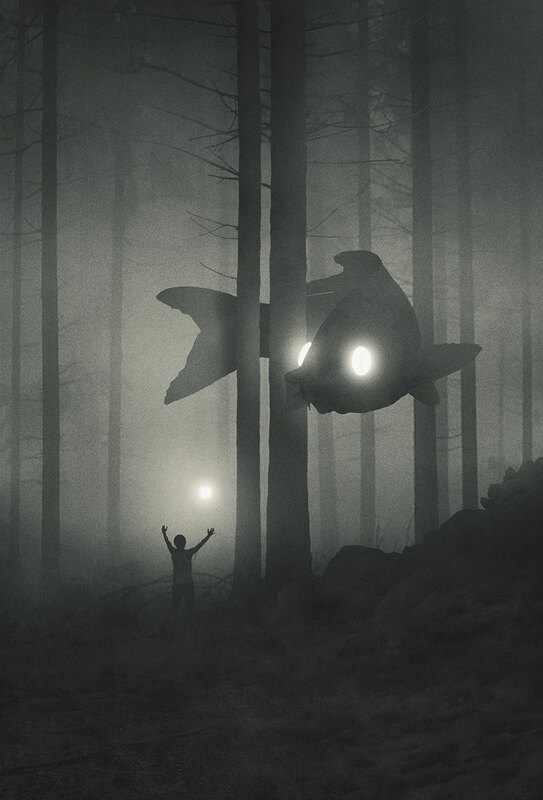 Dawid Planeta is a graphic design, illustrator, and artist from Poland. 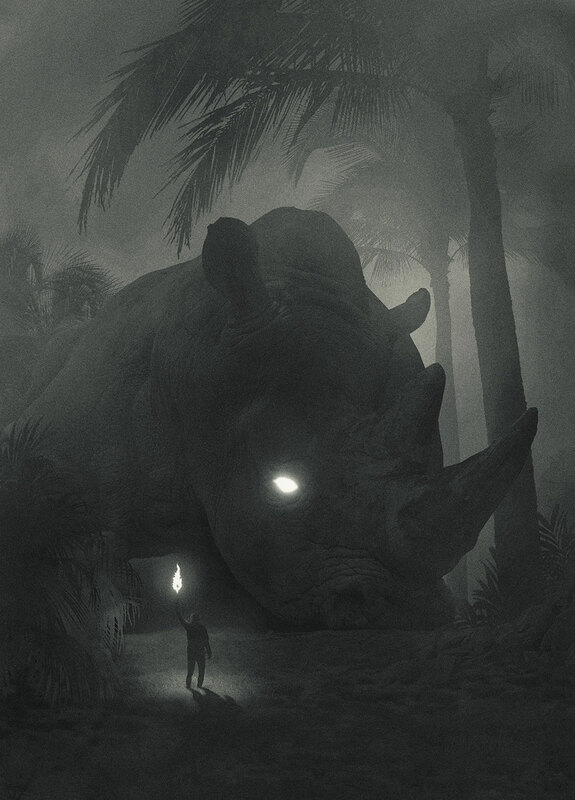 One of his most prominent work recently is his series of illustration titled “Mini People in the Jungle“. 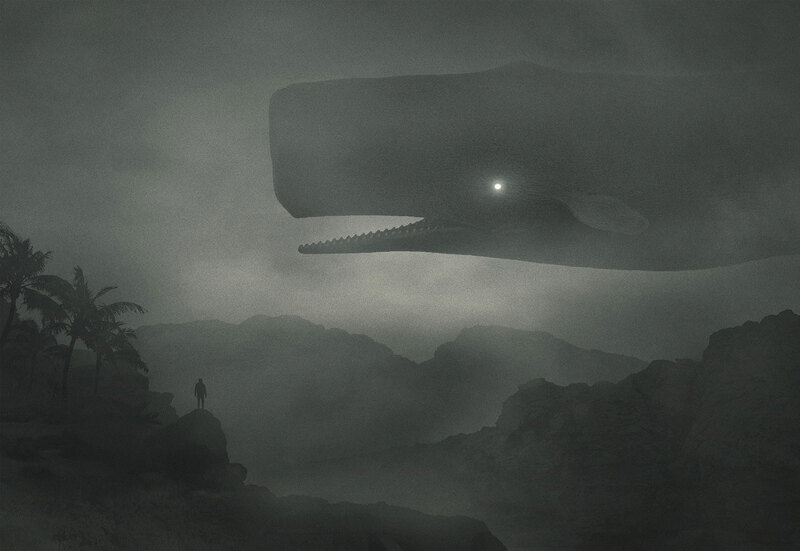 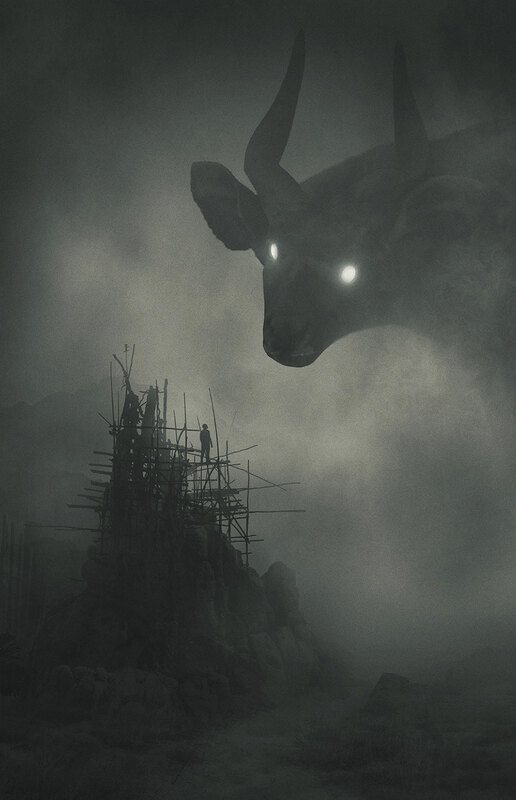 It features dark, colorless scenes with gigantic animals with glowing eyes. 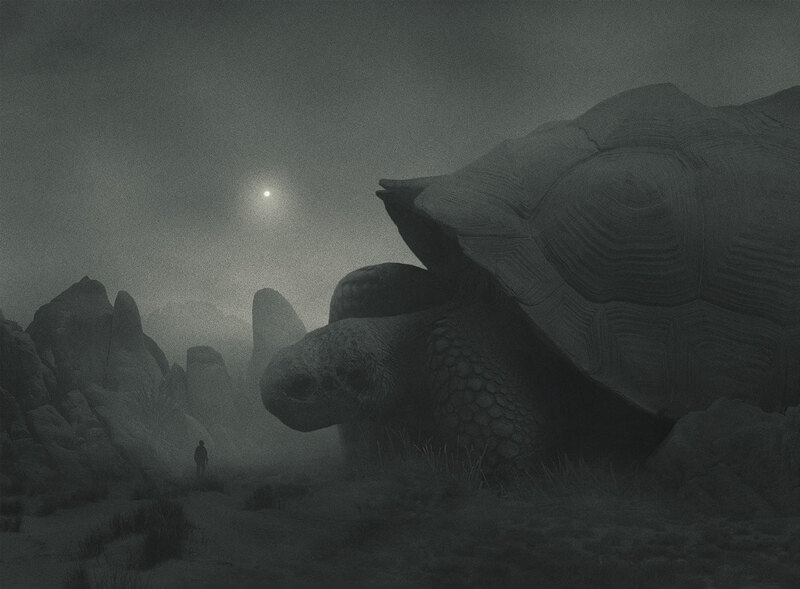 As one could have guessed, the artist’s inspiration comes from the dark side, from his own personal struggle with depression. 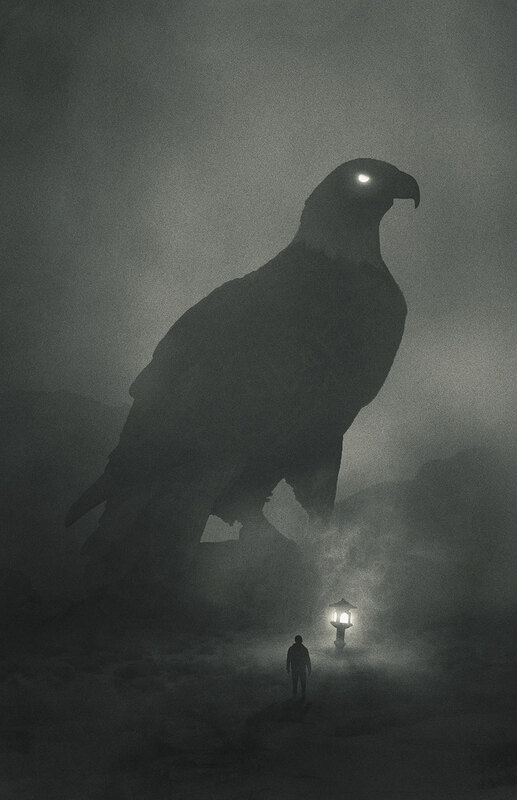 The result is stunning and can be followed with recent artworks regularly added on his Tumblr.